UPDATE: Article fixed in regards to my ignorance about drum magazines. The sub par writing, however, remains unaltered. On the morning of Saturday, February 8 of 2014, motorists traveling down Highway 105 were treated to what could generously be described as an unsettling sight: A man in a banana costume holding an AK-47. As you might imagine, this prompted multiple calls to the police. 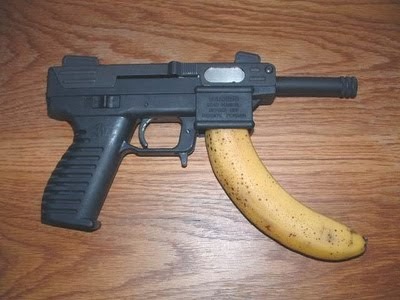 When officers arrived on the scene, they discovered that the heavily armed fruit (whose gun was loaded with a potentially/hopefully empty 50-round drum magazine) was an 18-year-old employee "advertising" for a nearby tactical and security store owned by Derek Poe. If that name sounds familiar, its because he's the same jackass who carried an AR-15 slung on his back through a crowded mall a little over a month ago. After having his gun confiscated and being cited with disorderly conduct, Derek pulled the old "DERP DERP POLICE STATE DERP DERP!" 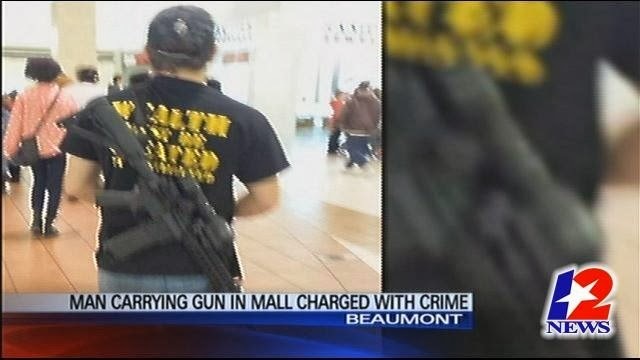 song and dance while pretending not to understand why people would empty their bowels at the sight of a man carrying a high powered firearm through the mall. "Okay, Starbucks...let's see you screw up my order this time." 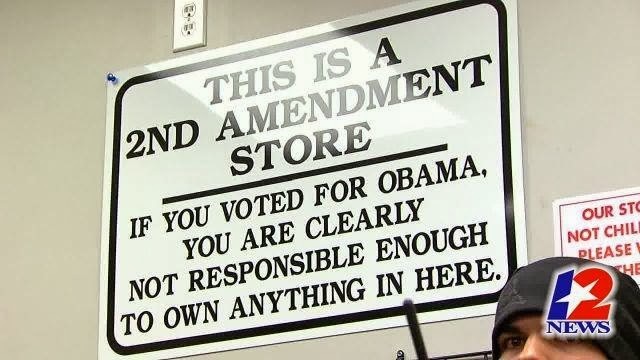 Much to the chagrin of my liberal friends, I actually do support the Second Amendment. What I do not support, however, are dumbasses using their right to bear arms as an excuse to make overt political statements at the expense of public safety. If you're going to say that gun control advocates are irresponsible/stupid, then you don't get to pretend not to understand basic human nature and the potential consequences for your actions. But I digress...the 18-year-old banana (who has yet to be identified) was peeled off the sidewalk and cited for violating a city ordinance prohibiting soliciting alongside roadways. Hopefully it will be his boss, Derek, and not him who ends up paying any resulting fines. As such an expert on the letter of the law, Derek probably should have been aware of the ordinance before making some kid go out on the street dress like an armed and fruity menace. location, it hopefully now comes with a severe irony warning. To get updates on when new articles or podcasts are published (and occasional random musings) 'Like' the official RamblingBeachCat.com Facebook page. Every time someone does, a gun store owner realizes that dressing up their armed advertisers as avocados is much less threatening.